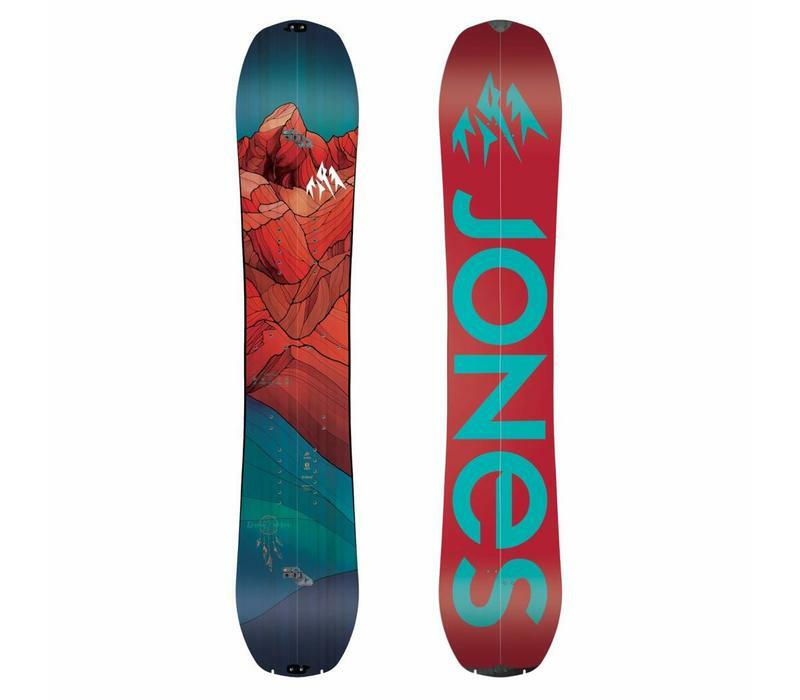 Don't wait for your dream line to find you, seek it out with the playful and versatile Jones Dream Catcher Splitboard. Ideal for the all-mountain freeride and freestyle type, the Dream Catcher Splitboard boasts a directional shape with a fun, lively flex. The blunt freeride nose provides float through the deep stuff while the freestyle tail keeps things loose and playful. You shouldn't have to change the way in which you ride just because you're splitboarding, bring your in-bounds creativity beyond the confines of the resort with the Jones Dream Catcher Splitboard. Directional Rocker – A hybrid rocker/camber flex pattern defined by more tip rocker then tail rocker and camber between the bindings. The rockered tip floats the board's nose and improves manoeuvrability while the camber underfoot provides edge hold and response. A slightly rockered tail maintains the power and stability of a traditional board but helps keep the tail catch-free initiating turns and landing switch. Classic Core – Full wood premium Slovenian poplar core that offers fun pop, even flex and solid durability. Sintered 7000 Base – Durable natural base material with added ­carbon for speed and good wax absorbency. Inside Traction Tech 2.0 – Inner edge Traction Tech improves splitboard edge grip on the ascent. Three sidecut "bumps" on each side of your binding keep you locked in on icy skin tracks no matter which way you are traversing. Outside Traction Tech 2.0 – Like a serrated knife slicing into the snow, Traction Tech improves your edge grip by adding multiple contact points along the running length of your board. 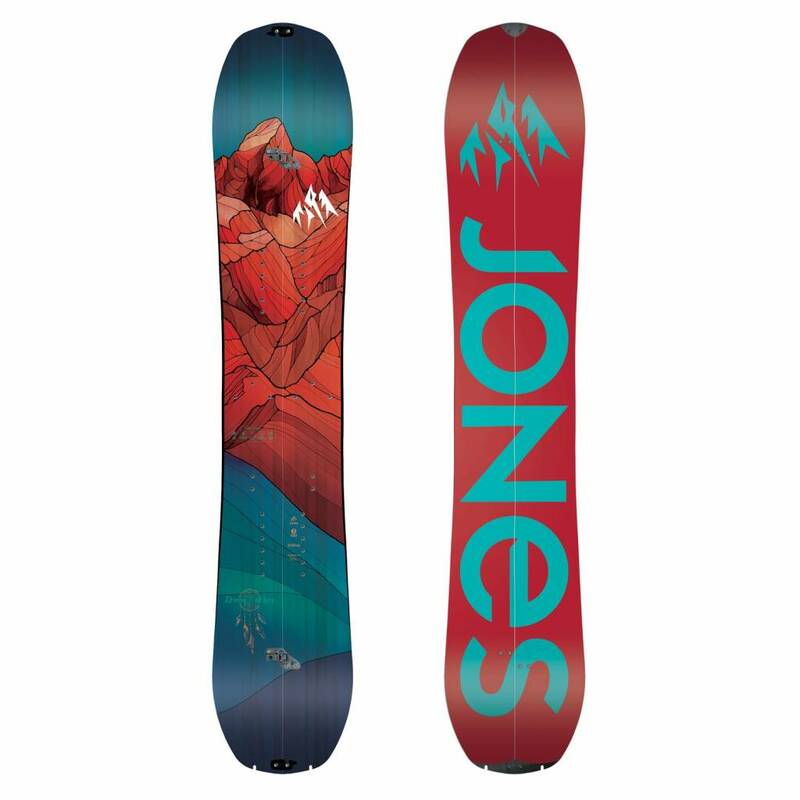 Karakoram STD Clips – Jones Splitboards feature Karakoram K-Clips plus tip and tail hooks. Adjustable tension K-Clips increase board torsional stiffness. Just received this board so not had a chance to use it but it looks the business! Just wanted to leave a review really to say what a great service I've received from Snowfit. Would highly recommend the company for any future purchases.